Interested in adding another layer of insulation and security to your home? Look no further than the storm door, an old-fashioned favorite that offers both aesthetic and functional appeal. While it’s true that energy-insulating advances in conventional entry doors have made storm doors unnecessary in most new homes, there are still many older homes that can benefit from the extra layer of protection that a storm door provides. Compared to conventional doors, however, storm doors do offer several advantages. They can double as screen doors, allowing light and air to enter the home, even as they offer a measure of privacy. They can help protect the finish of an entry door from the elements. And with the multitude of style options to choose from, they can actually enhance the curb appeal of your home. 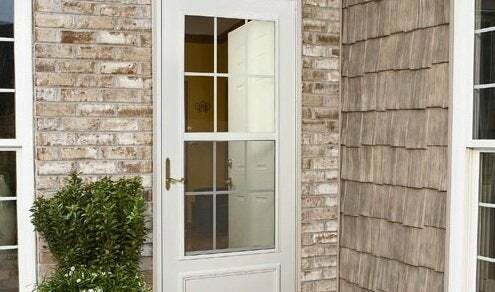 These features ensure that storm doors persist as an popular option for many consumers; it is estimated that more than 5 million storm doors are sold annually in the U.S.
Generally, storm doors are constructed of steel, fiberglass, PVC, wood or aluminum. The latter is available with foam-core insulation. Wood storm doors have fallen out of favor in recent years, because they require more maintenance and do not provide the same level of insulation as metal or fiberglass. 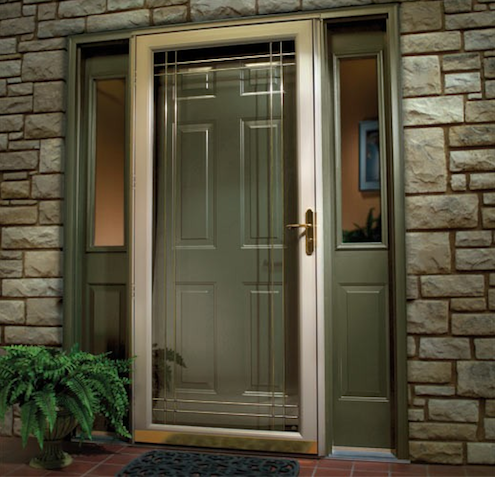 Storm doors come in myriad styles, most with a combination of glass and screens. Common styles include full-view glass doors, multi-screen or single-screen doors, and half-view doors with self-storing glass and screens. Storm doors typically cost between $100 and $400, depending on the style, size, and material. Most home improvement centers and hardware stores sell pre-hung storm door kits that include the door frame, door panels, and installation hardware; door handles and locks are usually sold separately. These storm door kits are offered in standard door widths, including 30-, 32-, 34-, and 36-inch sizes. There are also double-door kits available, as well as custom-order sizes. If you have security concerns, you will want to look for a storm door that features protective metal grillwork and can accommodate a deadbolt lock. A savvy DIYer can install a pre-hung storm door in about four hours, although many home centers also offer professional installation.